Jimmy Little launched his career as an entertainer in the era of a hopeful land. The 1950s was a time of growth and rejuvenation for Australia, and in the same instant we struggled as a nation to identify those belief systems preventing us from a truly free society. Before the age of 19, Jimmy had been part of many pioneering events. 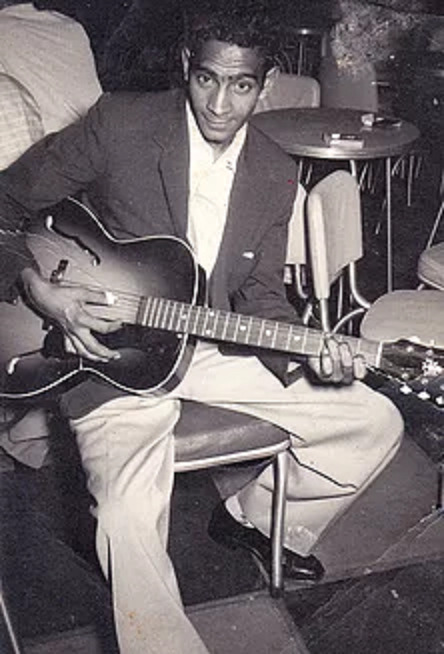 He had made his radio debut on 'Australian Amateur Hour', played all over NSW with Pat Ware in the Jimmy Little Trio, and released both his first single, Mysteries of Life and his first EP. On August 11, 1956 Jimmy cut his first tracks on a '78 inch' for Regal Zonophone and the following year, he toured with the Grande Ol' Opry out of Nashville, Tennessee, which is today still The Gala Event of country and western music. His career began to rocket as his hits went through the Australian charts. By the end of the decade, his calm on-stage charisma was wooed by the silver screen and Jimmy was cast in the break-though film Shadow of the Boomerang. The next decade would only get better for our entertaining nation, although bringing many new challenges to our beliefs and identity as a growing political power. The world loses some of its innocence and young Australian minds gain more freedom of thought and speech than ever before, perhaps as a result. In the same decade as Jimmy starred as a regular on 'Bandstand' and 'The Teen Scene', was Pop Star of the Year (1964) and shared record breaking sales with The Beatles, Australia learned television could bring with it as much shocking reality as fantastic entertainment. This clarity of sentiment was reflected in the release of the chart topping 'Royal Telephone' in 1964, and was embraced by the hearts of a nation wishing for harmony in social relations. Society and culture in this decade shifted enormously, and parents of the next generation became the strongest voice of the era, setting a new tone for political and social structure. Royal Telephone was in the Top Ten for 18 weeks, went Gold twice and Australia was shown yet another side of Mr. Little when 'Shadow of the Boomerang' screened. Jimmy emerged with an on-screen personality as poignant and powerful as shown on-stage. After spending the best part of two decades breaking early ground in recording technology through music, television and film, the 1970s was to represent a period largely dedicated to fans of live entertainers. Jimmy was seen in hotels, clubs and venues all over the country, and his smooth notes blended elegantly and easily with the country/rock/folk cross over styles emerging on the music scene at the time. Just as the music industry continued to produce evolving sounds and talents, Australia's social and philosophical policies were changing. During this period, Jimmy placed his singing career on the backburner to dedicate time to other areas of importance to him, and he became chairman of the Foundation for Aboriginal Affairs. Also in 1975, colour television was introduced into Australia, and Jimmy was hitting it home with the country crowds at Mooroopna - a favourite gig for huge US talent and friend, Marty Robbins. As rock got louder and angrier, Jimmy continued to tell velvet stories in his dulcet tones for listening audiences. In 1978, he released his 21st album signed under Festival and was travelling with the Jimmy Little All Star Country Show. The 80s, enjoying certain revival rushes today, was about BIG. Big Hair, Big ShoulderPads, Big Government and Big Corporate. Music is a constantly evolving thing, and exists cocooned within the industry built up around it, so the development and management of music in Australia during this time changed personality from the crusier grooves of the 70s Jimmy was looking for a new theme, but it wasn't to be found in this pushy period of late glam, mid slam and bland wham. After releasing a praising rendition of 'Beautiful Woman' in 1983, Jimmy retired from the studio to pursue his love of the arts and education, spend time with young people in learning environments and gaze upon the last 30 years with thoughtful eyes toward the future. During this time, Jimmy was immersed in lending his years of experience, gift of communication and love of the musical life to young Australians in schools, workshops, class rooms, courses, universities and TAFEs. His efforts and dedication were recognised in 1989 when he won the Aboriginal of the Year Award. Never faltering in his constant dedication to venue playing, Jimmy was drawn again to embrace another talent - acting. His presence graced screen and stage with performances in several productions, including the Wim Wenerd's film 'Until the End of the World' with Sam Neill and William Hurt, Black Cockatoos and Black River. The penultimate decade of the 20th century was to make Jimmy wait right until the end for the best bit, but there was no shortage of excellent adventures being had throughout. The early years involved a strong return to classic country roots. Tamworth has always played a special role in his touring career and in 1994 the town welcomed Jimmy into the Australasian Country Music Roll of Renown. His hands also entered into concrete to forever immortalise his connection with the heart and soul of Australian country. Fate is a Messenger, and sometimes people listening at the right time can be gifted with a personal introduction. During 1998-1999, two men of different generations but a shared spirit circled in similar paths inside the East Sydney live music scene. When by chance, Karma Countrys' Brendan Gallagher heard Jimmy sing at The Lyric, it was as if the answer to his prayers. After conceiving of a contemporary project, the only missing element had been the right vocal vehicle…Jimmy drove up and Brendan jumped right in for what was to be a reawakening ride. The result was Messenger, a beautifully crafted and soulfully vocalised collection of songs from Neil Finn, Ed Kuepper, Paul Kelly and Nick Cave amongst others. The response to the message? Phenomenal! Jimmy's rendition of The Reels' 'Quasimodos Dream' said to have brought a tear to the eye of more than one hardened music critic. Jimmy Little and Brendan Gallagher followed each other in 1999 and 2000 as winners of the ARIA Award. Jimmy in 1999 for Best Adult Contemporary, and Brendan with Karma Country in 2000 in the same catagory. Truly hitting a new peak in 1999, Jimmy was also inducted into the ARIA Hall of Fame alongside Richard Clapton, two artists enjoying success with a new generation of listeners on triple j, and riding as high as ever on the wheels of life. The first years of this new century have resonated as strongly for Jimmy Little as with the first years of his remarkable career. Once again, Jimmy joined with the voices of Australia in Olympic song, has been a constant, gentle reminder of the importance of change to our national spirit, and enjoyed the success of an album reaching Gold status twice. He played to international audiences in Hanover, Singapore ,UK and the USA touring on the WOMAD circuit, and was again part of raising funds for, and entertaining our Olympic Athletes during the Sydney 2000 festivities. 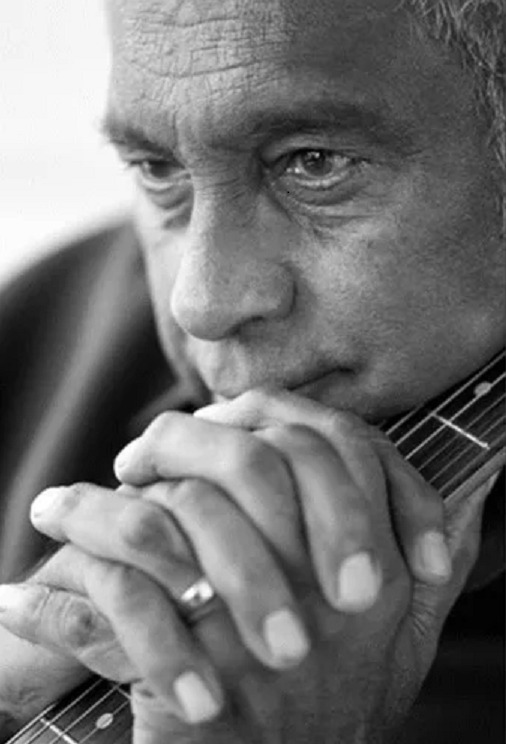 Singing his way non-stop across the Sydney Harbour Bridge with 250,000 other Australians, Jimmy also raised his gentle voice for reconciliation along with other entertainers lending their songs to a desire for change. Jimmy performed alongside Midnight Oil, Neil Murray, John Williamson, Vika and Linda Bull, Ted Egan, Coloured Stone, Nokturnl. Karma County, GANGgajang, Leah Purcell, Stiff Gins, Lazy Susan and The Titanics, The Dave Graney Show, Mental as Anything and Coloured Stone - a vast line-up of Australian talent in a truly historical national event. Jimmy released three albums after Messenger...... Resonate in 2002, Down the Road in 2004 and Life's What You Make It in 2006 and all his work is now available through Warner Music. The Jimmy Little Foundation was established in 2006 to work for better health for Indigenous Australians, especially those in regional and remote communities and the JLF's Thumbs up ! nutrition education program has now been delivered in over 60 communities. RIP Dr James Oswald Little - you were an inspiration to us all.